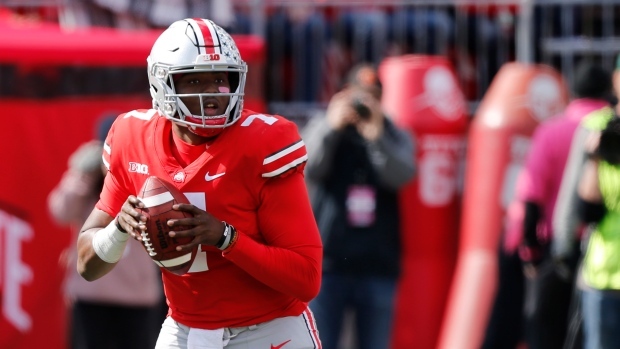 COLUMBUS, Ohio -- Dwayne Haskins threw for 412 yards and three touchdowns as No. 3 Ohio State held off persistent Minnesota to win 30-14 Saturday in a game where little went well for the Buckeyes beyond their passing game. Ohio State: The Buckeyes stay unbeaten despite making plenty of mistakes and Minnesota staying in the game until almost the end. Problems persist with running the ball and the defence allowing big plays.